Samsung is making some big steps into improving the screens on its mobile phones, with some more information revealing the technology behind the panels. There's real buzz surrounding the next generation of Samsung handsets as the screens are set to be as pin-sharp as those seen on the iPhone 4 and iPod touch. This is because Super AMOLED Plus will allow a screen quality over 300ppi. Currently the Retina Display shows content at 326ppi. 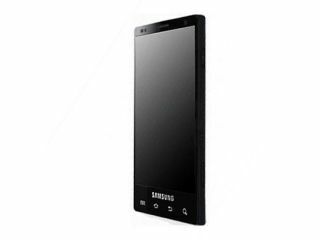 One of the first handsets to get the Super AMOLED will be the Samsung Galaxy S2, which is likely to be shown at Mobile World Congress 2011. Samsung has been one of the largest suppliers of OLED screens to the mobile industry over the last 18 months, with its first Super AMOLED technology winning rave reviews in the likes of the first Galaxy S and Google Nexus S.
Super-clear screens seem to be the order of the day for new handsets. At CES 2011, Sony unveiled the Sony Ericsson Xperia Arc, which has been given a Super LCD screen. This rival technology uses an 854 x 480 resolution.